Our Child Development Center (CDC) upholds the philosophy that quality childhood education encompasses the whole child. This includes social, emotional, physical, cognitive, linguistic, and creative development. 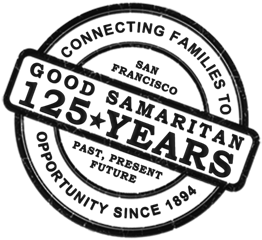 Believing that children exist within the social and cultural worlds of home and community, Good Samaritan recognizes and builds upon the experiences that each child brings to the classroom. This includes creating a learning environment that focuses on retaining and embracing home language and culture, while concurrently encouraging children to learn English. We are seeking a teacher to supervise and create a safe and educational environment for children ages 2 1/2 to 5 served in the CDC. The lead teacher will maintain schedules to include creative activities, prepare materials that are used in and out of the classroom and provide healthy food for the children. Complete evaluations in the four developmental areas for children. Work directly with Master Teacher and Associate Teachers.